For these reasons and more, Mexico is one of the world's top retirement destinations. But there's much more you need to know if you're considering making Mexico your home. Fortunately, I don't have to do any of those things any more…. …because I live in Mexico. Again, because I live in Mexico, I'm fortunate to be one of the lucky Americans who has direct access to excellent and affordable medical care. I can pick up the phone, any time day or night and call my physician directly on his personal cellphone. Best of all, I'm not worried about being able to afford my retirement. All those things I mentioned that make for the "good life" in my book… I can do them anytime the mood strikes. I can hop on a plane for a short ride to visit my parents or my kids…or just for a holiday…although it's not like I really need a vacation these days—my life pretty much IS a vacation. I can go out to breakfast, lunch, or dinner with my wife as often as I like. We can go to the movies any time we like… I can play golf, go to the theater, listen to live music…and I never worry if I can afford to do these things. It's not because I'm rich. All this is possible because I live in Mexico. The doors are open and Mexico is inviting you in. Mexico is close to home…right next door…and it offers every amenity you'd expect to find in North America…but at one-third the costs you'll find in the U.S. or Canada. Let me get a little more specific. You'll find all the comforts of home you'd expect in a country that's an integral part of North America: World-class hospitals, modern shopping malls and supermarkets and big-box stores you know from home, with most of your favorite brands in stock. Reliable high-speed internet is available just about everywhere, and public transportation is safe, reliable and plentiful. Healthcare is top quality (better, in my experience, than in the U.S. or Canada) and very affordable. If you have a resident visa, you can sign up for a public healthcare plan—Seguro Popular—and if you're over 60, it's absolutely free. For a comprehensive private healthcare plan with a $1,000 deductible, you might expect to pay $2,000 to $3,000 a year. You'll likely be healthier than ever in Mexico, where you'll have year-round sunshine so you can be outside and more active…and fresh year-round fruits and vegetables. Your annual property taxes will be no more than $100 to $200 if you buy a home in Mexico. And depending on your resident visa, you'll pay zero income taxes on foreign-earned income. In Mexico you can have all the benefits of home but at half the price. You can live comfortably and safely on as little as $1,400 for a single to $1,865 a month for a couple, and that can include your rent and a health plan. Of course, your cost of living may vary. If you like to golf…dine out or go to the theater often…travel…you may spend more. If you're a homebody, or don't have expensive tastes, you can get by on even less. Importantly, there are some tips and tricks that, once you know about them, can help greatly reduce your overall expenses. I'll share some of these in a moment. Stick with me for more about the low cost of living you can expect in Mexico…especially when you settle in one of the communities we've identified…for instance the one I live in. And you needn't give up any of the creature comforts that make life so enjoyable. There's more to consider, too. If you're worried about being far from family and friends back home, I've already mentioned the short flight times—less than two hours in some cases—from Mexico to the States (and as little as four hours to Canada). Those flights are inexpensive, too—especially on Mexico's new top-quality budget airlines that offer brand-new planes, great customer service, and very low fares. When you live in Mexico, you will have more visitors than you can handle… I can almost guarantee that. Who doesn't want to visit Mexico? I can also pretty much guarantee that you won't be lonely in Mexico. I've already explained how warm and welcoming the Mexicans are. They're familiar with our customs…our holidays…our language. The government of Mexico is going out of its way to invite us to share their country with them. They've made immigration to Mexico easy. It's easy to get a visa, to gain access to the public healthcare program, even to their retirement discount program. Being right next door, you'll find many Mexicans that speak English. You'll also find a built-in community of English-speaking expats—it's said that nearly two million Americans currently live in Mexico. So How Do You Find Out if Mexico is Right for You? For generations now, Mexico has been one of the world's most popular tourist destinations. A record-setting 40 million international tourists visited Mexico in 2017. The majority of those are from the U.S. and Canada, with Europeans and South Americans close behind. Mexico is now the eighth most popular tourist destination in the world. Tourists flock here for the natural beauty…the Copper Canyon that's far larger and deeper than Arizona's Grand Canyon…and to fabulous, sophisticated Mexico City, referred to as today's "renaissance city" by the Wall Street Journal, The New York Times, and more. They come to enjoy the world's most beautiful beaches along Mexico's warm-water white-sand Caribbean Coast, the dramatically lush Pacific Coast, and the starkly beautiful Baja peninsula. And everywhere in Mexico you'll find centuries-old archeological sites that were once home to Aztec, Maya, Huichol, and other indigenous people. Some of those tourists, of course, never want to leave. They've dreamed of retiring to a place with beautiful scenery, better weather, and a far better cost of living. Mexico delivers on all that and much more. Even though Mexico is a very easy place to retire to—and Americans and Canadians have been doing that since the early 1900s—there are many things to consider and plan for. With something this important, you need reliable, up-to-date information you can count on, from a dependable, well-qualified resource. That's why I'd like to introduce you to International Living's trusty, dependable resource on all things Mexico: Glynna Prentice. For over 10 years, Glynna has been International Living's editor on the ground in Mexico. She first visited Mexico in the 1990s and has been traveling there ever since. In 2007, she made it official and moved to Mexico for good. Glynna Prentice has been researching and reporting on Mexico since 2007. It's been Glynna's job to travel Mexico from north to south and east to west. She has lived in and owned homes in Campeche on the Gulf Coast and now in the university city of Guanajuato. She also owns a beach condo in the Caribbean coastal town of Tulum. She knows exactly how much it costs to live in the many different communities of Mexico. And based on her own experiences and the experiences of hundreds of other expats she's interviewed over the years, she has a number of insider tips and strategies to help you save both time and money when you visit or live in Mexico yourself. And if you think Mexico may be the place for you, Glynna is committed to sharing her real-world, on-the-ground insights with you. Your very best course of action, of course, would be to go to Mexico in person and spend a couple of months kicking around the country with Glynna. It would take about that long for her to show you, firsthand, everything she's seen and everything she knows that can help you streamline your own move to Mexico. 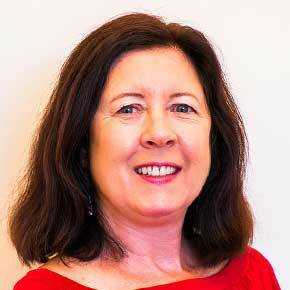 Spending time one-on-one with Glynna would certainly "fast track" your research, no question about it. But, of course, that isn't a practical option. It's doubtful you have the time or inclination to spend months on the road right now. And think how much it would cost… Even though Mexico is a budget traveler's paradise, you'd soon rack up thousands of dollars in expenses. So we asked Glynna to do something we've never done before. We asked her to create a personalized online virtual "retirement tour" of Mexico. It's a way for you to gain access to Glynna's incredibly comprehensive and truly rich depth of knowledge and get "plugged in" to everything you need to know. A way for you to see for yourself, from the comfort of your own home or office, all that Mexico has to offer you. It's an easy, streamlined, and most reliable way to get you from where you are now—to a better life in the perfect place in Mexico that's exactly right for you. No matter how many times you've been there…no matter how many books you've read or online research you've done…what you don't know about Mexico may surprise you. International Living has been reporting for nearly 40 years now about the benefits Mexico offers retirees—and over the last several years, Glynna has been asked to take on the most in-depth research-gathering project International Living has ever mounted on Mexico. It's a huge project we call Mexico 101: Your Blueprint to the ¡Viva México! Lifestyle. This has been no small undertaking. Even though Mexico is the smallest country in North America…smaller than the U.S. or Canada, it's large on opportunity. In effect, Glynna has been working on this project for more than a decade now…the entire time she's been in Mexico. Things change. Rules are adjusted. Laws are reformed. New policies are instituted. You can't always rely on what you read online in expat forums or on the internet. You need a trusted resource. And that's Glynna. What she's put together is not just groundbreaking, it's almost overwhelming in its scope. It's a complete resource reference of everything you need to know about moving to, investing in, living in, and/or starting a business in Mexico. If you can name it, think of it, or wonder about it, Glynna has you covered. Every issue is addressed, every challenge is covered, and every question is answered. Mexico 101: Your Blueprint to the ¡Viva México! Lifestyle puts a huge amount of information, recommendations, tips, advice, and insights about living, traveling, and investing in Mexico in one place…in living color…on video. It's the next-best thing to exploring the country with Glynna in person. And it's the best way I know to not just "tell" you about all Mexico has to offer, but to "show" you so you can see it with your own eyes…from the comfort of your home. I've already mentioned the overall low cost of living in Mexico. It really is a bargain. With today's strong dollar, you'll find your money goes further in Mexico today than it has in a very long time. When it comes to overall value—everything you get at such a low, low price tag—Mexico is hard to beat. Plus, it's a quality destination. Not to keep beating the drum, but it's a modern, North American environment with all the comforts of home. Still, it remains remarkably affordable. And it's very easy to make the transition to life in Mexico. Low healthcare and health insurance costs have something to do with that. After all, if you save $5,000 to $10,000 a year…or maybe even more…on your health insurance costs, that money can go far in Mexico. If you buy a home, you'll save thousands of dollars more on your property taxes. In 2017, the average American spent $2,197 on property taxes for his home in the U.S. In Mexico, you'll rarely pay more than $150 a year for your property taxes. Sometimes much less. So How Much Does it Cost to Live in Mexico? As Gary, an expat living in the Yucatán, says, "My property taxes for my home in Mérida are about $100 a year. Compare that to $11,000 a year I was paying in San Francisco ten years ago…"
Note that his sample budget doesn't include vehicle and gas expenses. You may not need or want a car. And, of course, if you pay outright for your home you won't have any housing costs at all beyond some maintenance and upkeep. Of course, everyone's lifestyle needs are different. You could spend more…or less. If you don't need cable TV or internet, you can save on those expenses. And if you live in the highlands, you probably won't need heat nor air conditioning, a big savings on utility bills. 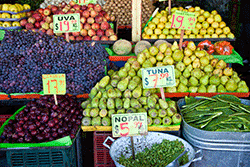 By moving to Mexico, you may be able to reduce your total living costs by as much as 65%. Even the lowest budget affords a very good lifestyle. You'll enjoy guilt-free consumption at very low prices. For instance, splurge on a salon haircut, manicure or pedicure ($5-$10 each), pay a maid to clean your house ($15 a day) or a gardener to do your lawn work (about $5 an hour). It's easy to see that in Mexico, you can enjoy a high quality of life without spending a lot. Where are the Best Destinations in Mexico to Find Good-Value Living? When you make your home in Mexico, you can live very well for very little money, that's true… But when you choose one of the several very different destinations Glynna Prentice can introduce you to, you can live very well. If you've been to Mexico, you may have spent some time in Cancun on Mexico's Caribbean Coast. Hands down, it's Mexico's top tourist destination. Even there, you can live affordably…but when you look beyond Mexico's more touristy destinations, that's where you'll find the bargains. Glynna's done a lot of digging, and along with the more tried-and-true communities popular with expats, she's pinpointed many special destinations—including a couple of overlooked sections of pristine coastline—that you'll want to take a look at if you're considering retiring or starting a new life in Mexico. You'll find all the details in Mexico 101: Your Blueprint to the ¡Viva México! Lifestyle. What Can You Expect When it Comes to Mexico's Excellent and Inexpensive Healthcare? One big benefit to living in Mexico is its excellent, inexpensive healthcare. The quality, particularly in the private system, is as good as what you'll find back home. And prices are low. They're a quarter to a half of what you'd pay in the U.S. for similar services. Mexico has two healthcare options: a public healthcare system—so-called nationalized health—and private healthcare. And if you're an expat with a valid residence visa for Mexico, you can have access to both systems. In your Mexico Blueprint, Glynna covers all these options in detail so you'll know which is best for you. And don't worry about language issues. In many of the communities in Mexico that Glynna points you to, doctors speak English and have received training in Europe, Canada, or the U.S.
Are you ready to learn more about how fun, easy and affordable it can be to retire to Mexico? There's no better resource than Mexico 101: Your Blueprint to the ¡Viva México! Lifestyle. Not long ago, she went into the studio to assemble a comprehensive series of 14 professional videos to bring her research to life. You can see, feel, and almost touch and smell Mexico. You'll travel along with Glynna as she introduces you to nine distinct areas of Mexico…and the many communities in each of those that make for easy and affordable expat living. And yes, you'll discover several little-known areas that Glynna believes are well worth your attention right now. These are places your fellow expats have yet to discover in large numbers. Prices are low and opportunities are sky high. Because instead of sitting in a room all day watching a parade of speakers up at a podium, you'll access these videos online from the comfort of your home, and you'll get to see and hear directly from Glynna, our dedicated resource on the ground in Mexico. She's the #1 Mexico expert we know and in this Blueprint, she takes you by the hand and not only introduces you to "her" Mexico, but she gives you the tools to make it "your Mexico." Along with the six in-depth "destination" videos, Glynna has produced eight more "need-to-know" videos with advice about Mexico that will save you time, headaches and boatloads of money. In Mexico 101: Your Blueprint to the ¡Viva México! Lifestyle, you'll find out what's true and what's not. The Internet offers loads of information about Mexico. Websites and chat groups are full of misinformation—so it's important to get the most up-to-date information straight from someone who knows Mexico inside and out. No one knows Mexico better than Glynna Prentice. She offers you experienced perspective, valuable judgment, and on-the-ground guidance that will save you time, money, and frustration when you head to Mexico yourself… You can be sure you'll be completely and reliably "in-the-know." Your best resident visa options. There are several you might qualify for, but which is the best for your personal circumstances? Video #10 in the series is devoted to this topic and ensures that you don't make any costly mistakes. How to safely purchase real estate in Mexico. Legal processes are a bit different in Mexico and having the right guide to those rules and procedures is invaluable—and that's exactly what Glynna offers in Video #12. What to expect in the way of taxes, both at home and in Mexico (not much, thankfully)…and much, much more. Best of all, she even provides a step-by-step Action Plan. If you've wondered or worried about how you might ever pull it all off…making a move of this type…worry no more. If you're thinking of retiring to Mexico…or spending some extended time there…maybe opening a business or just reinventing your life…this Mexico Blueprint is your very best resource. It's the fastest, most efficient, most cost-effective way to get you quickly ramped up so you can get from where you are now to the idyllic spot in Mexico that's right for you. And when you're ready to actually explore Mexico firsthand for yourself, you'll be able to use your time wisely—because in essence, you'll have already been there, with Glynna as your guide. You'll know where to go, who to contact, and the questions you'll need to ask. If you wanted to track down all the intelligence we hand over in this Mexico Blueprint, you could probably do that. But it would take an investment of many months…likely a decade or more, in fact. That's how long Glynna has been at it. And you'd have to pull thousands of dollars out of your pocket. …car rentals, gasoline and tolls, along with overnight hotel stays, meals, and more. …including hundreds of expats in every corner of the country. To be honest, on your own you'd have a very difficult time tracking down all these people…and accumulating all the intelligence Glynna has amassed. It hands you on-the-ground solutions that would cost you a minimum of $10,000 to gather on your own. But you don't have to spend that kind of money…no way. Glynna has done all the work for you. She's just finished all the video editing and this brand-new resource is so valuable, it will save you a ton of money. We could reasonably ask $1,000 for this program, which reveals insider tips and secrets about Mexico you won't find anyplace else. But we won't charge you $1,000 for access…even though it's worth every penny. The full price for this comprehensive program is $399. But today, you can get Mexico 101: Your Blueprint to the ¡Viva México! Lifestyle —for just $399. Because of your interest in Mexico, this is a special one-time offer. You get more than half off right now. Please get your access code now, because in just a few days, the price goes up. You Also Get 7 Comprehensive Special Reports and a Complete Resource Rolodex. As Glynna was taping the videos she created for the Mexico 101: Your Blueprint to the ¡Viva México! Lifestyle, she wanted to expand on a few topics that require some extra lengthy reporting…too much to record on video. So those have been assembled in a series of special companion reports—delivered electronically to get them to you as quickly as possible. This is the kind of information you'll definitely want at hand as you prepare for your move to Mexico. Special Report #1: Mexico Scouting Trip itineraries and Travel Guide. If you've got one week, two weeks, a month or more to spend in Mexico, you'll want this guide. Glynna and her Mexico team have planned all the details for you…from how to travel around to where to stay—hotels, short-term rentals and much more. You'll also discover where to play…dine…and more…even the popular hangouts where you can meet expats who may someday be your neighbors. Live links to websites and contact information is all there for your easy access. 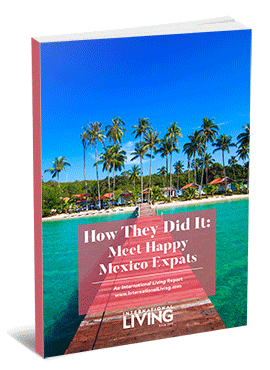 Special Report #2: How They Did It: Meet Happy Mexico Expats. Speaking of expats, sometimes it just takes a little motivation. That's exactly what you'll get in this special report. You'll meet expats in many different areas of Mexico, all living their dream lives under the Mexican sun. They explain exactly how they did it (and how you can, too) and they share personal details you couldn't get unless you quizzed them yourself… Find out what they do for healthcare, how much they spend on a daily and monthly basis, what they do in their free time, and much, much more. 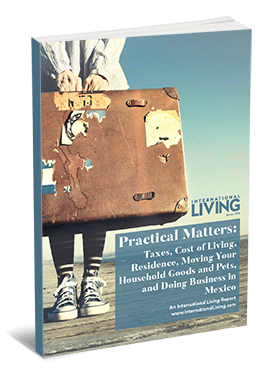 Special Report #3: Practical Matters: Taxes, Cost of Living, Residence, Moving Your Household Goods and Pets, and Doing Business. Yes, Glynna covers all this in the video series, but as you can see from the lengthy title, this special report digs deep. You'll get comprehensive sample budgets and money-saving tips, a detailed tax primer, a full explanation of various visa options and a legal resource rolodex. And if you plan to move with pets or children, or you're thinking of starting your dream business in Mexico, do not leave home without this special report. Nowhere else can you get this kind of valuable, all-inclusive information. 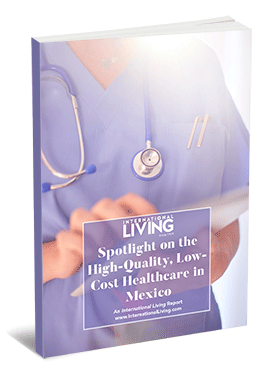 Special Report #4: Spotlight on the High-Quality, Low-Cost Medical Care in Mexico. This comprehensive report explains the differences of Mexico's public and private healthcare systems and can help you make an educated decision about what to do for your personal healthcare needs when you move to Mexico. You'll get all the details (including costs) of the Seguro Popular/IMSS public care coverage. There's also a rundown of the best private hospitals in the country and a list of some of the best local insurance providers—with full contact information. There's even a list of questions to ask about insurance policies you may be considering and pointers on how to find the best doctor for your personal needs. 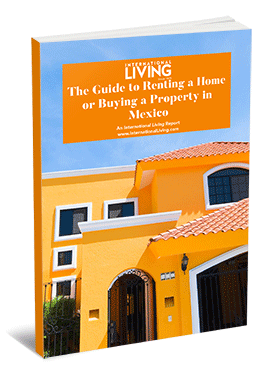 Special Report #5: The Guide to Renting a Home or Buying Property in Mexico. When you move to Mexico, you'll need a place to live. And whether you rent or buy, that means contracts. Word to the wise: Do not sign a rental or purchase contract without first reading this crucial information. Everything is covered…from typical costs and how to find a rental to what to look for in a reliable real estate agent, where to get title insurance, the various title structures, the correct process for registering a deed, and much more. 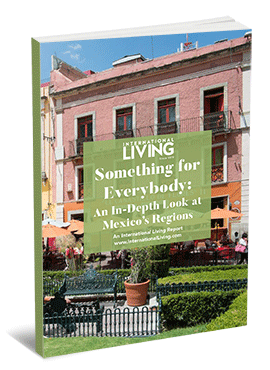 Special Report #6: Something for Everybody: An In-Depth look at Mexico's Diverse Regions. If you want insider information about areas of Mexico that offer a combination of livability, affordability, beauty, and convenience—you'll find it within the 40+ pages of this special report. All the "personalities" of these locales are sliced and diced for you. You're sure to find a hidden gem that's perfect for you. 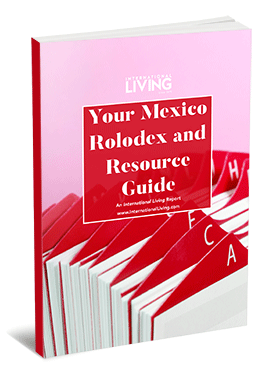 AND Special Report #7: Your Mexico Rolodex and Resource Guide. This is another document you won't want to leave home without. 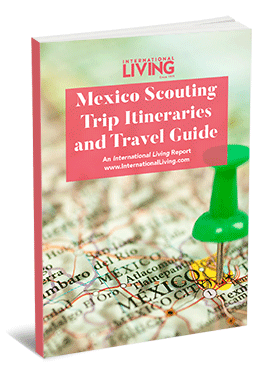 You'll find pages and pages of resources that you can rely on to help streamline your scouting trip and your move to Mexico. Websites, email addresses, phone numbers, costs for services…it's all there…from accommodation and restaurants to airlines and shuttle services…to attorney, healthcare providers, moving/shipping and real estate contacts, language schools and much more, including handy travel apps you can load on your phone or tablet to make navigating your way around Mexico as easy and inexpensive as possible. As you know, there's only so much you can absorb when you're reading about and researching a place. You do a "Google search" and tens of thousands of links come up. It's so hard to know whose opinion to trust. And the sheer volume of information can be overwhelming. But that's what makes this Mexico Blueprint so special—and so useful. Glynna Prentice shares her real-world insights directly with you via video. She cuts right to the chase, right there in living color, and she answers every question you have about Mexico. I guarantee it. Guarantee # 2—I guarantee it will deliver the real-world solutions you need to get from where you are now to where you want to be…so that in just a handful of months, you could have "boots on the ground" in a part of Mexico you love. But if you feel the solutions we offer aren't for you, we'll give you a full refund. In other words, the risk is all ours. Guarantee # 3—Should you decide to ask for a refund, you've got a full 30 days to do it. If you don't feel that Mexico 101: Your Blueprint to the ¡Viva México! Lifestyle, can help you to a new life in Mexico, just let us know and we'll refund every penny. That's how confident we are in the depth and breadth of information this Blueprint provides. All this makes Mexico hard to resist. The good news, though, is that it's all within your grasp. You don't need millions in the bank to capitalize on the opportunities in Mexico—one of the best-value retirement options you'll find. With so much to offer. In Mexico, you can have the life you've been dreaming of. You can have it all…and on a monthly budget of $1,400 to $1,865 or less. On the beach or in the mountains…where you can live well for $22,380 a year or less (just $16,800 if you're single)…you'll find all that and more in Mexico. I hope you'll let us show you how…just click below now and we'll get you started. P.S. If you have any doubt that Mexico offers the very best lifestyle—at a very affordable price—your mind will definitely be changed after you've sifted through the 14 professional videos, the seven comprehensive special reports, including the hefty resource rolodex that make up Mexico 101: Your Blueprint to the ¡Viva México! Lifestyle. Then I encourage you to take a look at Mexico 101: Your Blueprint to the ¡Viva México! Lifestyle. It was created with you in mind. Follow the blueprint Glynna has created for you. Let her introduce you to the special places she's discovered. Let her share her expert insights with you and help you shave months…even years…off your learning curve. Mexico 101: Your Blueprint to the ¡Viva México! Lifestyle is like taking a whirlwind investment and lifestyle tour of Mexico. Only instead of paying thousands of dollars for the travel fees and expert advice, we hand it all to you right there in the comfort of your own home for just $399 when you order your Mexico 101: Your Blueprint to the ¡Viva México! Lifestyle now. Remember, there's no risk to you. You have our 100% Money-Back Guarantee.